The guys at MXR are on fire. 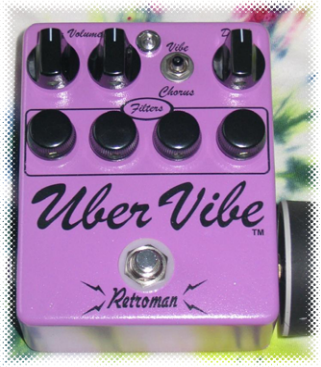 They have released at the NAMM a host of very interesting pedals. MXR is known for pedals such as the Dynacomp compressor, used by almost everybody, or the Phase 90 phaser, used by Eddy Van Halen to create the “Ain’t talking about love” swooshy tone and lots of other swooshy tones. First the M148 micro chorus was an 80s one button chorus. The Rate control is apparently enough to give you a wide diversity of tones. This 2010 version features the welcome addition of a true bypass. 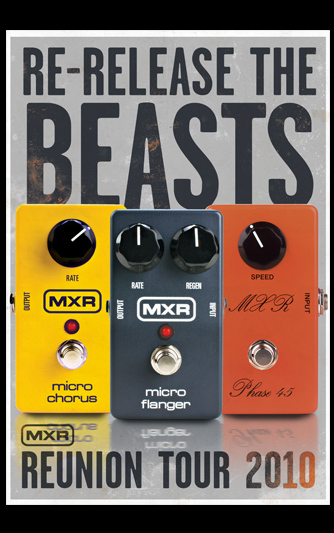 Secondly, the M152 Micro Flanger is based on the M117 flanger model (so good that some people actually committed murder to get one, so I am told). It features two controls, Rate and Regeneration, as well as a true bypass. Last but not least, the Phase 45 is a limited edition reissue. Akin to the much acclaimed Phase 90, it features a single speed control and has a hand wired circuit board. For more detailed information, the excellent i heart guitar blog has a NAMM report about these babies. Price wise, I have spotted the micro chorus for 100€, the micro flanger for 110€ and the phase 45 for 120€ on various European websites. I for one can’t wait to try them!